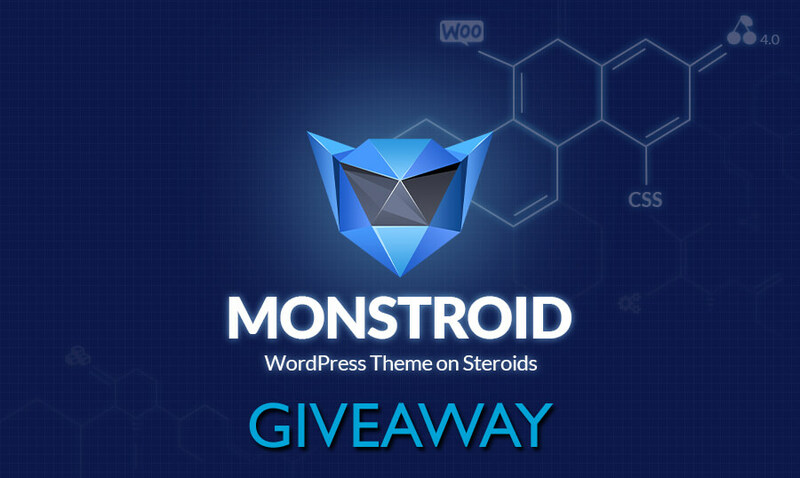 Today you’ve got an opportunity to win one of five Monstroid WordPress themes, and launch a new website, or refresh your old one with a modern design at no cost! Monstroid is a multipurpose WordPress theme that effectively leverages all the possibilities of Cherry Framework 4 by combining them with a constantly growing inventory of premade designs. You are free to choose, whether to use one of the child themes as is, or to modify it in order to create your own design. What else does Monstroid offer? First of all, it is one of the most versatile WordPress products ever. Due to its modular system including a theme framework, dozens of plugins and premade designs, Monstroid can be endlessly scaled and transformed. Thus, it is a great solution for a web startup of any size. Ever wanted to launch one? Then check out Startup Hub – a new informational project for beginning startupers. 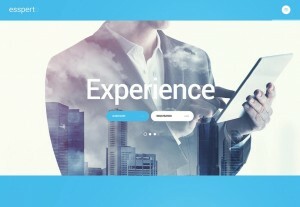 Most of the features of Monstroid are aimed at meeting the needs of end users: businessmen, bloggers, online sellers, etc. It is highly customizable and intuitive at the same time: it can be easily fine-tuned with zero skills in coding or design. Its inventory of child themes is updated by 10-15 designs monthly. They are built in accordance with the latest design trends such as Material Design. Developers and designers will benefit from such advanced features as CSS optimization/minification, and dynamic CSS. Such plugins as Cherry Sidebars and Static Area Builder provide you with a full spectrum of tools for reshaping of your website’s layout, while premium MotoPress Editor and MotoPress Slider will take care of the look of its content. Monstroid is integrated with most of the major plugins for WordPress: they include WooCommerce, bbPress, BuddyPress and Yoast. This means that you will be able to build an online store, a forum board, or a social network with no extra installations. Although only the core Monstroid theme is ready to use with WooCommerce out of the box, all the subtopics are compatible with it too. The last but not the least is support. Owners of Monstroid get 24/7 lifetime assistance from the professional support team. It is available as a live chat with instant replies in your WordPress dashboard, or as usual support tickets. “I want to win Monstroid because of the child theme #55049 (Limousine). It has everything I need to build a landing page for my business. john@doe.com”. We will randomly choose 5 winners after the giveaway is over. The closing date is on 01.17.2016, so hurry up! Now let’s see some of the most popular Monstroid designs in action. This professional business theme is one of dozens of Monstroid designs. Although it looks very simple, during interaction with its layout you will encounter plenty of dynamic visual effects such as fading and semi-transparency. The retractable sidebar menu is a good example of modern ergonomic navigation. Thanks to Monstroid’s integration with several major plugins Business Expert theme can power all kinds of websites – from portfolios to social networks and online stores. 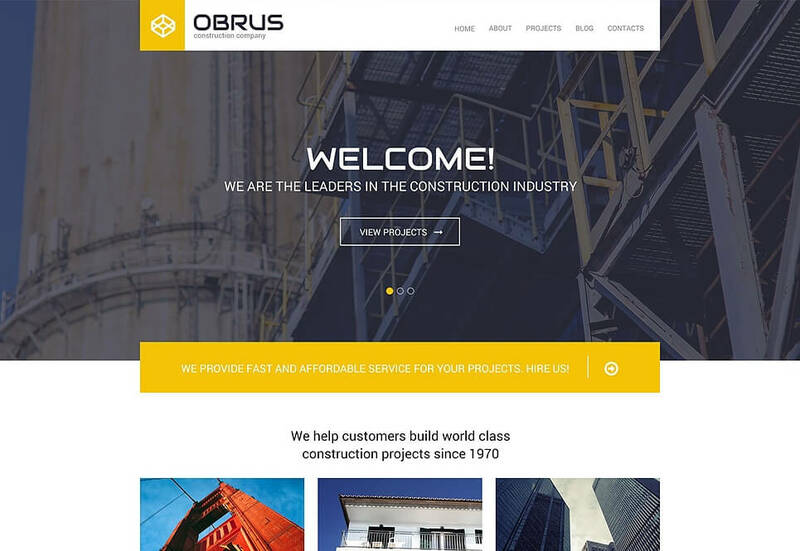 Obrus is a great WordPress theme for companies dealing with heavy industry, transportation and maintenance. Its yellow, white and dark color palette echoes the websites of such industrial giants as Caterpillar, Kärcher and Patex. Cherry Framework enhances it with such pre-built pages as Services, Testimonials, Team and Portfolio. Use this child theme for websites of cafés, restaurants, and also for food blogs and magazines. Its premade design uses several image layers with drop shadows to create an illusion of volume. 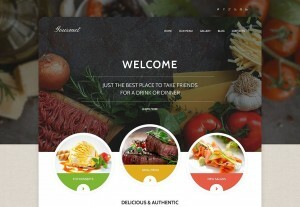 Gourmet offers you to choose from a wide variety of innovative visual options in order to build a perfect website: background video, parallax scrolling, CSS-based animations, and many more. Now don’t waste a minute and claim for the prize! We will announce the winners in a week, so keep updated. Good luck! I want to win Monstroid because of the child theme #55555 . It has everything I need for an upcoming e-commerce site. I want to win Monstroid because of the child theme #55279 . 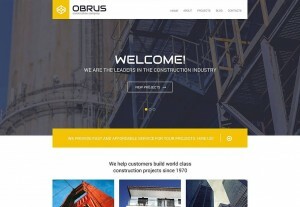 Its innovative and unique design approach fits well to almost any kind of SMB’s website projects. Thanks you for giving such a wonderful giveaway. Cheers and Happy New Year! #57687 would be perfect for launching our company website this Spring! I want to win Monstroid because of the child theme #55712. It has everything I need to build my landing page. Hi, Is the contest still going on? Because I really want to create a great Portfolio website for our company/website GearPQ. Please inform if there is any offer or deal. Hi, is there any deal..?I want to win Monstroid because of the child theme #55555 as its great for pro sites. Is the contest still going ?